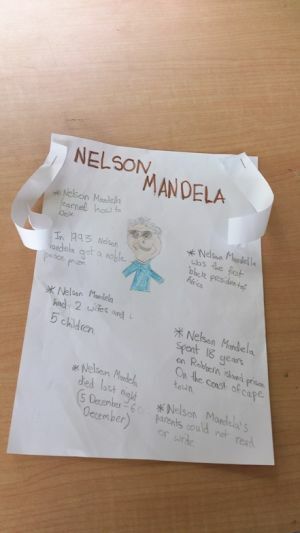 When Serena woke at 6am on the morning the world learns of Nelson Mandela's passing, she rushed to her little work table and busily started making a news bulletin with some key information about Mandela she wanted to share with her friends. She researched online for some information that she didn't know to be included in her news bulletin. 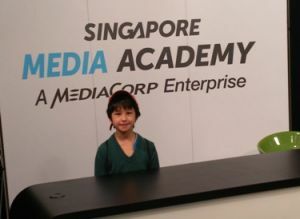 Serena was one of the children who attended "News Presentation Workshop", a one-day course conducted by Singapore Media Academy in conjunction with the National Library Board. We caught up with Serena's Mum, Belinda to find out more about what Serena has learnt and applied from the short course!. What was your experience with the News Presentation Workshop? Belinda: My daughter was enthused by the session and could only talk about it for at least 2 days. How do you think it has benefited your daughter? Belinda: It gave her lots of ideas on what she can do with information and how to present them. And here is what Serena had to say about her experience as a little reporter! Did you enjoy yourself at the News Presentation Workshop? Serena: Yes, I especially enjoyed the group activities when we had to co-operate with each other. Serena: I learnt what a real reporter does and all the steps that make it a good report. What do you remember most from the course? Serena: I remember the friends I made and all the commotion before the video was made. What prompted you to do the news bulletin on Nelson Mandala? Serena: I woke up and my dad told me that Nelson Mandela died. It was quite shocking although I knew he was very sick before, I never expected this day to come. I remember from the session what makes an interesting story to report and decided to make the bulletin because it has all the right ingredients. News Presentation Workshop is one of the Broadcast Media Training Workshops organised by Singapore Media Academy held in conjunction with the National Library Board.